8/14/17 (NOTE: for current and previous bargaining updates see here). We have reached a (tentative) agreement with the Administration on Non-Tenure Track (NTT) service (and scholarship) and a procedure for Senior Lecturer IIs to receive a reduced teaching load for service or scholarship. For many years, we have been trying to reduce the teaching load for NTTs. The administration has agreed that full-time Senior Lecturer II’s may apply for two-year positions where they would receive a 3/4 or 4/3 teaching load, while remaining at 100% time, if these NTTs perform more substantial service (and/or scholarship). Someone on such an appointment will be evaluated for service (and/or scholarship). These appointments will be at the discretion of the Dean (and of course, must be agreeable to the faculty member). Although we tried to get much more than this, and while the Administration acknowledged the desirability of such appointments, in part to help ease the heavy service load on tenure stream faculty, given the difficult budget situation, we were not able to get more than this procedure for reducing the teaching load for some NTTs. But it is a victory that this will now be in the contract and that there is now a procedure for reducing the teaching load for Senior Lecturer IIs. To get this, we agreed to resolve the issue of service requirements for NTTs. To understand this resolution, we need to consider both the history and current status of NTT service. When NTTs were first able to achieve benefitted status in 1998, part of the agreement was that benefitted NTTs might be assigned a small amount of service, in order to justify their slightly higher salary rate, if this service was stipulated in their individual contracts. However, most NTT faculty were never issued individual contracts, particularly in CLA, so they were technically not required to perform any service; moreover, this language stipulating that service could be required if in their individual contracts was removed in the last collective agreement. As a result, some chairs and departments have maintained that NTT service is required, and have assigned it, while others understand it to be voluntary. At present there are a number of NTTs performing more substantial service, including serving on departmental committees, with some believing it to be voluntary and others thinking that it is mandatory. And other NTTs are currently performing little or no service—depending on precisely how service is defined. Last year, the Administration began asserting in Senior Lecturer reviews that NTT service is mandatory, despite the lack of language in the bargaining agreement to justify this. The FSU filed a grievance and reached a settlement agreement with the Administration that NTT service would be treated on a “help not hurt” basis in reviews in the present year (see here for more information). 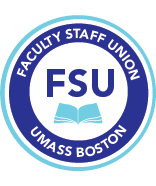 The settlement agreement also required the parties (FSU and the Administration) to address the issue of service requirements for non-tenure track faculty during this current round of bargaining. And, to complicate matters all the more, because of the ongoing budget woes, throughout bargaining the Administration has generally sought to avoid commitments to any increases in spending. Since some NTTs faculty enjoy performing service and want to continue to do so, we wanted these faculty to continue to be able to do so. We also believe that it is generally beneficial for NTTs to perform at least some service, since this produces a more meaningful relationship with their department. Complete lack of service is alienating—it corresponds to the role of a purely adjunct teacher. However, we also sought to avoid imposing a requirement of sizeable new duties on those who already have heavy work-loads. We also sought to insure that any substantial service would involve some formal recognition and reward, which is for the most part not true at present. (NTT scholarship is also currently not formally recognized or rewarded). And finally, we believe that it is beneficial for NTTs collectively if at least some NTTs are able to participate in committee work in their departments, and also at the college and university levels. This will allow NTTs to have influence in faculty governance matters, such as departmental curriculum. First, partly by way of concession to the Administration, Lecturers, Senior Lecturers, and Senior Lecturer II’s who are half-time or greater will be required to do limited, “basic” service such as some student advising or attending departmental meetings, or representing the department at Welcome Days or similar events. NTTs will consult with their chairs to determine what their service will be. (Note that this is disjunctive—these are options and the faculty would only do one, not more than of these). The agreement also specifies that the “workload shall be such that he or she can reasonably be expected to discharge the assigned responsibilities within the percentage of time specified in the individual’s contract”—so there is not an increased workload. And there are protections connecting service with the modality of instruction, so those who teach on-line might be asked to Skype in to meetings rather than being required to come to campus. This satisfies our principles in that it is not a substantial additional burden—this is a very limited set of duties, with options, and no increased workload. Most of the relevant faculty already satisfy this requirement. This also helps achieve lack of alienation—these are meaningful roles, and, for those who attend departmental meetings, this allows for some participation in departmental governance. We also got agreement that any more substantial service, e.g., advising a larger number of students or performing committee work, is voluntary. Such additional voluntary service will qualify for B pool merit, thus potentially resulting in salary increases. (B pool merit is not based on competition among department members but is rather awarded by the Dean, with recommendations made by the department). NTT scholarship will similarly qualify for B pool merit awards. Such voluntary additional service will be counted positively in Senior Lecturer and Senior Lecturer II promotional reviews, but lack of it will not count against the candidate, thus “help not hurt” for additional service beyond the basic. This satisfies our principles since this additional service is voluntary rather than imposed and it also qualifies for several types of rewards. The agreement that Full-time Senior Lecturer II’s may apply for 2 year positions where they would receive a 3/4 or 4/3 teaching load for more substantial service (and/or scholarship) duties at the discretion of the Dean satisfies our principles since the service (or scholarship) in question is directly compensated, with a corresponding work-load reduction. And NTT on these kind of appointments should be able to serve on committees that involve governance. No service is required for Associate Lecturers and those less than 50% time. “Basic” service is required for all other NTTs, typically attending departmental meetings, attending welcome day, or doing some advising (see above). Additional service beyond this basic level is purely voluntary. Those who choose to perform it qualify for consideration for B pool merit for this work, and similarly for NTT scholarship. And voluntary additional service will also be considered on a “help not hurt” basis for promotions. All full-time Senior Lecturer II’s are eligible to apply for a 2-year appointment at a slightly reduced teaching load of 3/4 (or 4/3), where duties include performance of service (and/or scholarship).